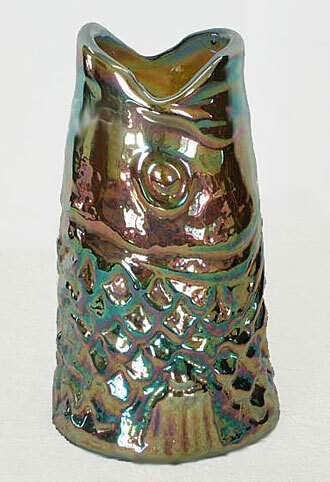 A very unusual piece, this 5 1/2 inch tall vase in blue sold for $625 in 2009. I have no idea who made it. I suspect it's a contemporary piece but as I don't know who made it and when, am just guessing. Never seen another one like it.